An interesting thing occurred to me recently as I sat in my car listening to a previously recorded podcast with Dr. Anissa Holmes. Anissa interviewed me for this podcast a couple of weeks ago, so I wanted to hear how it turned out. As I sat in my garage in my car getting ready to go inside to listen more, I realized I could walk and listen to the podcast simultaneously. Novel. I picked up my things and took a walk around my neighborhood while I listened to the rest of the interview. It turned out pretty well, and when I completed my walk and my podcast, I felt rather accomplished. I killed two birds with one stone. I listened and I got exercise checked off my list. Ahhhh. I didn’t hear the birds while I walked. I didn’t notice anything going on in the neighborhood. I walked mindlessly. Oh, this produced a struggling point for someone trying to maintain a mindful lifestyle. Do I get two things done simultaneously to check more things off of my list, or do I complete one task at a time? If you hate to exercise and need a distraction to make you complete this sort of thing, do two things at once–like listening to music or to a podcast. The time goes by quickly. If you love to walk and exercise outside and hear the birds or notice small things in nature, do not multi-task. It ruins the moments. Carefully choose your path. Do not get in the habit of doing two things at once just to check things off of your list. Do two things at once when you know the one thing will not get done without the other. Patrick Lencioni’s book, Getting Naked. And, if you exercise while you listen, enjoy yourself. If you decide to do one thing at a time, that’s great, too. Be intentional with your choices and live life in the moment–each and every moment–because those moments turn into a memorable life if you don’t miss them. Dr. Knowles owns IntentionalDental Consulting, and through her national speaking and local retreats, she helps the dental profession with their communication blockages and conflict nightmares. She helps dentists learn to build a peaceful culture with less stress while maintaining a sizable bottom line. 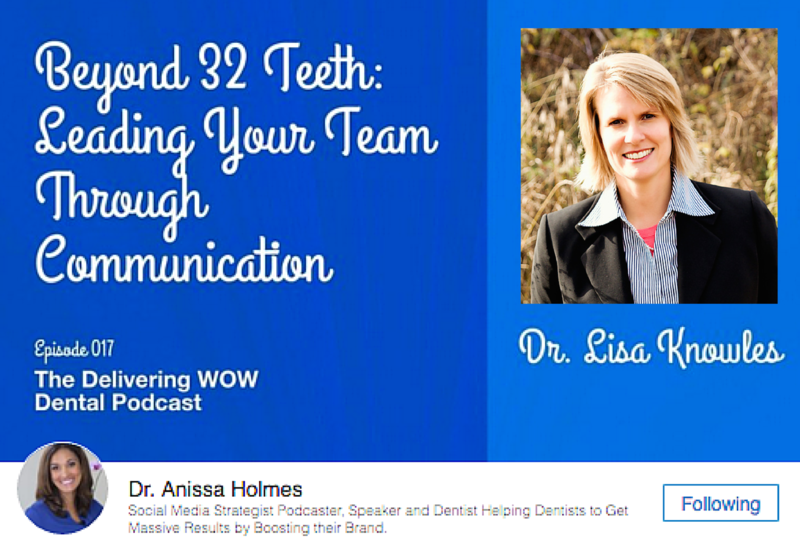 She is a regular contributor to Dr. Bicuspid.com and Dentistry IQ, along with contributions to Dental Economics, Dental Products Report, Dentaltown, and Dentistry Today. To schedule a speaking engagement or to make an appointment, contact Dr. Knowles at IntentionalDental@gmail.com or call 517-331-3688.